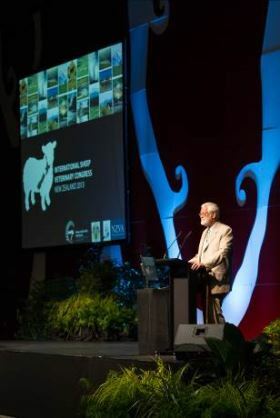 The origins of the Society of Sheep and Beef Cattle Veterinarians NZVA bid for the 8th ISVC had its genesis back around 2003/04 when a few of us on the committee thought that it would be about time that the congress in 2009 was held down this way. A sub-committee of me (John Smart), Stuart Bruére, Dave West and Meg Catherwood was formed in March 2004 to pursue this. Over the Christmas/New Year summer holiday period of 2004/05 I put together, what I considered for the era, to be a pretty snazzy PowerPoint presentation with an outline of our proposal which covered all the main congress details – location and venue (Christchurch Convention Centre), pre-congress tours, scientific programme, preliminary budget, social and accompanying persons programme as well as an outline of NZ's scenic attractions and activities. Warren Webber, at that time the director of VetLearn was also keen on the idea of NZ putting in a bid and he provided assistance with certain aspects. The presentation involved many hours of work and plenty of colour photos and the crowning glory was a magnificent video clip about NZ produced by Tourism NZ that I incorporated into it. The final file size was just on 100,000kb which, at the time being somewhat I.T. illiterate I tried to email to the Crete Congress organisers as a backup in case my luggage with the CD-Rom (no memory sticks in those days) went missing en-route. In trying to email it the sheer size of the file jammed up our computer system at work for ages until someone worked out what the problem was! Anyway come June 2005 at the bid meeting NZ was up against Norway and the British SVS. Martha Ulvund put the bid for Norway, Brian Hosie for the Brits and me for NZ. 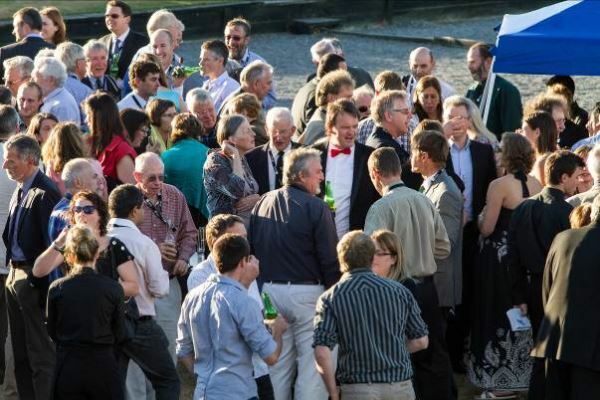 Due to other matters (the possible formation of a European College for small ruminants) being introduced prior to the bid process the meeting ran well over time and the gala dinner was well underway by the time delegates at the meeting got there. 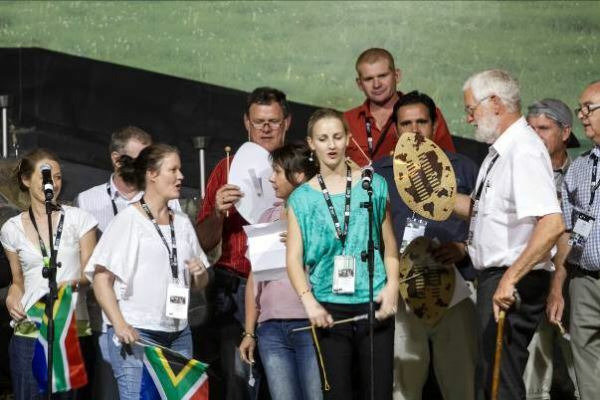 These days the winner of the bid is a closely guarded secret until the announcement to all the delegates at the gala dinner but back then Norway was announced as the winner at the bid meeting. At the time a bit of a let down after all the hard work that had gone in but never mind – us Kiwi's are a resilient bunch – we soon got over it & resolved to try again in four years time. Prior to the Stavanger Congress I dusted off the previous PowerPoint and updated it where necessary. Conventions and Incentives NZ (CINZ) then flashed it up a little. They also helped produce a bid document which was done in a similar style to the PowerPoint. Carrying 40 – 50 copies of the bid document across the globe and trying not to exceed maximum bag weights was not easy! 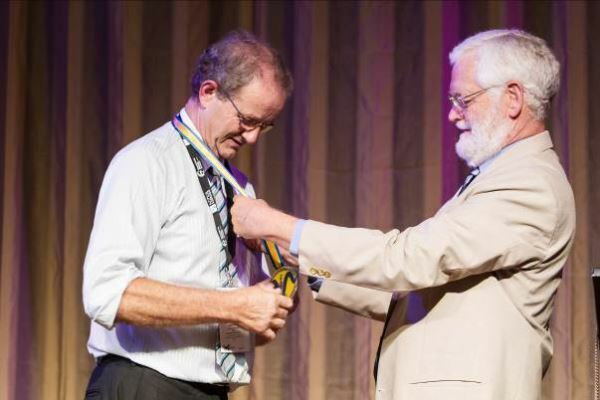 The bid meeting at Stavanger was the first one held under the auspices of the newly formed International Sheep Veterinary Association (ISVA) and was chaired by the inaugural ISVA president, Gareth Bath. This time we were up against Spain – Alfonso Abecia put forward a well prepared bid on their behalf and again I put the case for NZ proposing the congress be held in Christchurch at the Convention Centre in February 2013. 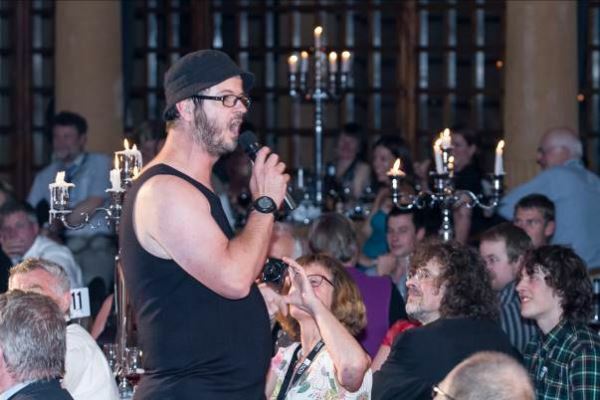 This time the winner was kept secret until the gala dinner and it was quite a relief when Gareth Bath announced NZ as the host for the 8th ISVC. Once back in NZ the provisional bookings at the Christchurch Convention Centre were confirmed. With the bid in 2005 we had proposed VetLearn, the conferencing division of NZVA as the Professional Conference Organiser (PCO) however in the intervening years between 2005 and 2009 there had been quite a few changes within VetLearn and they were not certain that they still had the capacity to run our congress. Warren Webber had left VetLearn was now running his own PCO company. 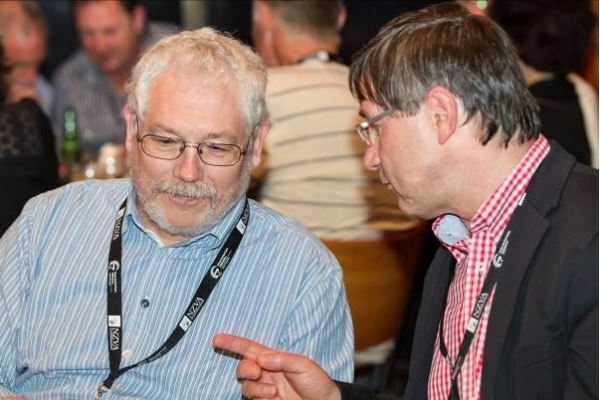 In any event we had a meeting at the Christchurch Convention Centre soon after the Stavanger Congress where Warren and a combination of VetLearn and The Conference Company (TCC) put forward their bids to be our PCO to the Congress Organising Committee. This was I think, one of the most difficult decisions of the whole congress organisation – in the end we settled on the combined VetLearn TCC bid. A committee structure as detailed below was initially set up. Subsequent events necessitated some changes – more on that later! In order that the "culture and traditions" of previous congresses were maintained a large percentage of the committee's makeup had plenty of prior ISVC experience and in the case of the Pre-congress Tours and Local Events committees geographic location was also important. Congress Organising Committee: John Smart (Chair), Dave West, Roger Marchant, Stuart Bruére, Peter Anderson, Jeremy Leigh, Ben Davidson, Ginny Dodunski, Leanne Fecser (VetLearn) and Margaret Brown (TCC). Sponsorship Committee: Roger Marchant (Chair), Colin Harvey, Gerald Pinckney, Ben Hodgson, John Smart and Leanne Fecser. 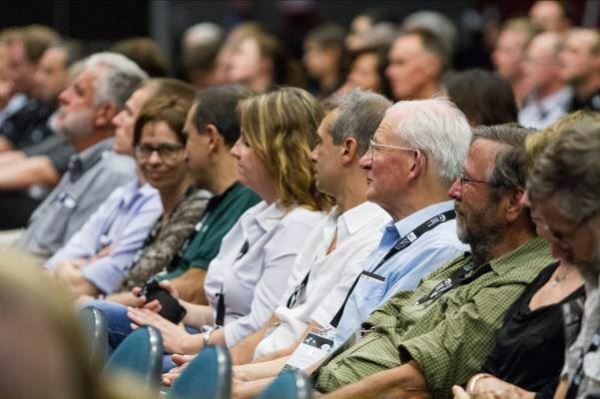 Scientific & Publications Committee: Dave West (Chair), Anne Ridler, Ginny Dodunski, Gary Clark, Peter Jolly, John Moffat, Ken Pettey (South Africa), Neil Sargison (Scotland), Martha Ulvund (Norway), John Larsen (Australia) and George Fthenakis (Greece). South Island – John Smart, Richard Bishop, Andrew Roe, Kim Kelly, Meg Catherwood, Georgina McKerchar and Ben Davidson. North Island – Dave West, Paul Hughes, Jeremy Leigh, Gerald Pinckney, Mark Matthews, Simon Marshall, Stuart Bruére and Peter Anderson. Local Events Committee: This committee was responsible for the social and accompanying persons programme. Ben Davidson (Chair), Sarah Davidson, Julie Wagner, Noel & Lois McGirr, Leanne Fecser and John Smart. At one of the earlier Congress Organising Committee meetings in early 2010 the theme for the congress – "Connecting Science and Sheep" was decided on and a conference logo and website were commissioned www.conference.intsheepvetassoc.org Nearby hotel accommodation was also reserved early on. Organisation proceeded smoothly until Feb 22nd 2011 when Christchurch was hit by a devastating earthquake which caused massive damage to many buildings in the CBD as well as killing 185 people. The CBD was basically cordoned off and accurate information on the state of the Convention Centre and the nearby hotel infrastructure was impossible to obtain. After a hiatus of about 3 months during which we could do very little in the way of organisation and with information from various contacts round Christchurch painting an increasingly gloomy picture I made the decision, based on limited accurate information that we needed to relocate the congress. To delay the decision until accurate information was available would increasingly risk us not being able to find an alternative suitable venue as we were already down to less than 21 months until the congress. The question was where to go. I checked out several venues including Queenstown, Blenheim, Dunedin, Wellington and Rotorua either in person or by perusing available information. 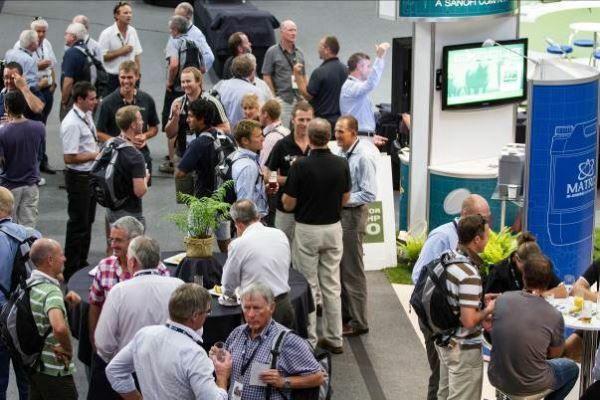 In the end I settled on Rotorua and as our first choice there, the Energy Events Centre was already provisionally booked we settled for the Rotorua Convention Centre. This enforced change of venue meant much of the organisation had to start again, particularly the pre-congress tours and the social and accompanying person's programmes. 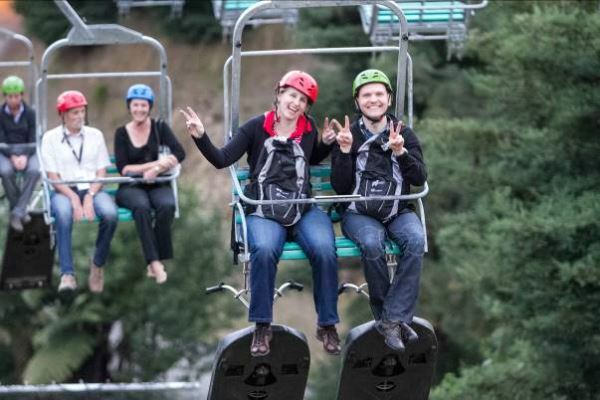 The South Island pre-congress tour was able to stay much the same – we just added a domestic flight from Christchurch to Rotorua on at the end however the North Island tour which initially was to run from Auckland to Christchurch had to be significantly reworked. 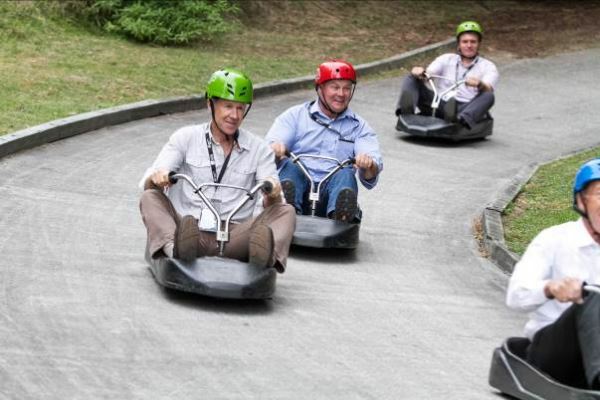 In the end a much shortened 4 day tour from Auckland to Rotorua was settled on by that committee. The Local Events Committee, by necessity had to change personnel to reflect the new location. Gerald Pinckney from Rotorua took over the chairmanship and was assisted by his wife Natalie. Ben Davidson and I stayed on to give continuity as did Leanne Fecser as PCO while the rest "got the sack". After this upheaval organisational matters proceeded more smoothly with the Congress Organising Committee meeting either in person or sometimes by teleconference. By the end of 2011 the decision to relocate the congress proved to be the correct one as news came through that the Christchurch Convention Centre had to be demolished, the Town Hall (in effect part of the Convention Centre) was badly damaged and most of the nearby hotel infrastructure also had to be demolished. 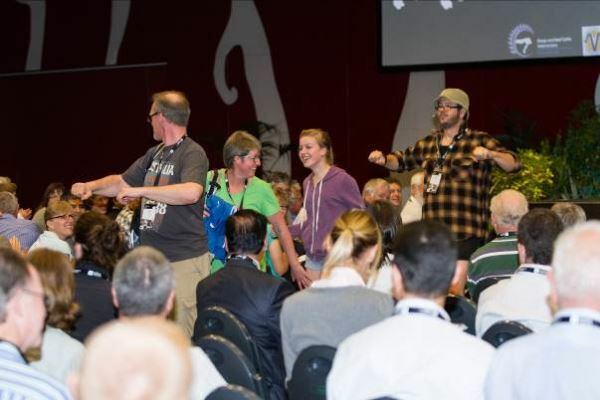 Only 6 – 7 months prior to the congress the larger and more modern Energy Events Centre in Rotorua became available so we opted to take this option up rather than use the Rotorua Conference Centre. This proved to be an ideal venue and with the eventual numbers of delegates and sponsors it was just as well it did as the latter venue could have been a bit tight space wise. 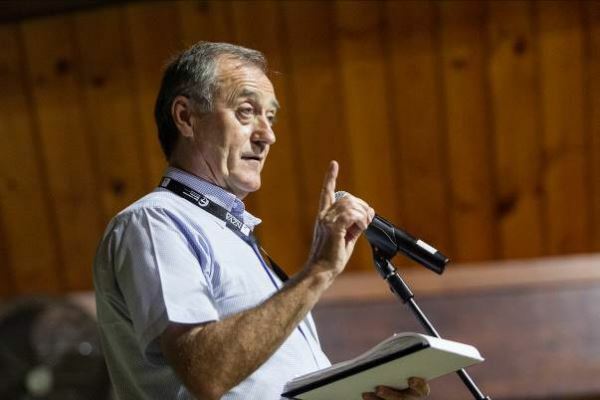 Mike Petersen – Global Sheep production. Dave Leathwick – Sustainable Control of Nematode Parasites. Nigel French – Emerging Zoonotic Diseases. Kevin Stafford – The Welfare of Sheep – No Simple Matter. There were 180 proffered papers accepted and 19 of these were designated keynote papers. For the first time at an ISVC we introduced on one day a fourth stream on the health of working dogs since there wouldn't be a sheep farm in the world that does not rely on these. 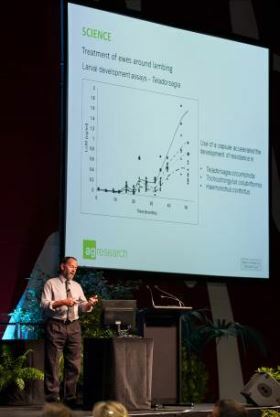 There were an additional 13 papers in this stream which was coordinated by the Centre for Service and Working Dog Health at Massey University. In addition there were 73 poster abstracts. 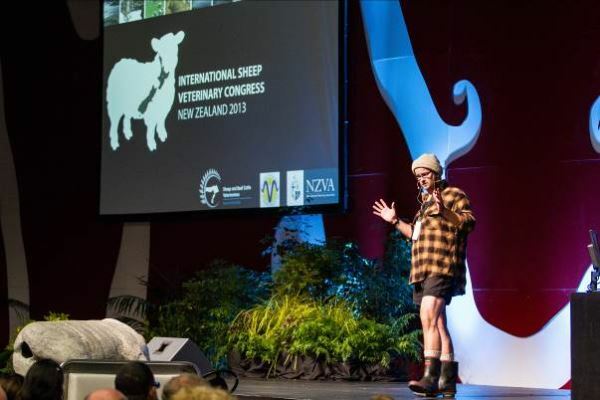 Best Case Study – Anne Ridler (NZ), Familial episodic ataxia – a recently identified inherited neurological disorder of sheep. 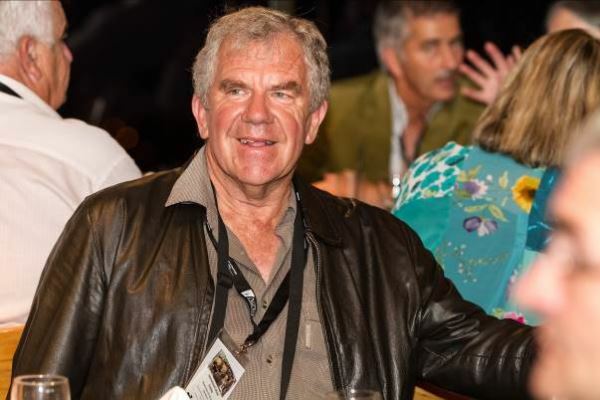 Best Practitioner Paper – David Robertson (NZ), Comparison of Tylosin and Lincospectin/Spectinomycin combination for the treatment of footrot in Merino sheep. Best Young/Emerging Scientific Presentation – Solveig Marie Stubsjøen (Norway), On farm welfare assessment in sheep. Best Scientific Presentation – Marianne Gilhuus (Norway), Characterisation of Dichelobacter nodosus isolates from Norwegian sheep, cattle and goats. Best Poster Display – Felipe Martinez-Pastor (Spain), Semi-long qPCR for detecting damage in specific sequences or ram sperm DNA. The prizes were presented at the gala dinner on the final night. Sponsorship under the leadership of Roger Marchant and with the assistance of TCC's sponsorship manager Nihal Fernandez proved a bit of a challenge at times. 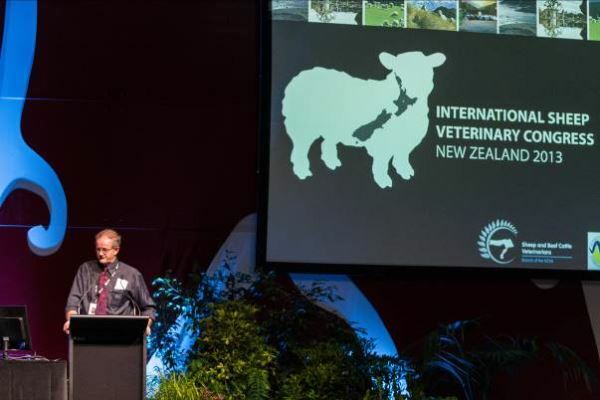 What with the continuing trend of company amalgamation thereby lessening the available "pool" and the unfortunate fact that the WSAVA (World Small Animals) International Conference was also in NZ just 3 weeks after our ISVC meant there was in effect some competition for the sponsor dollar. 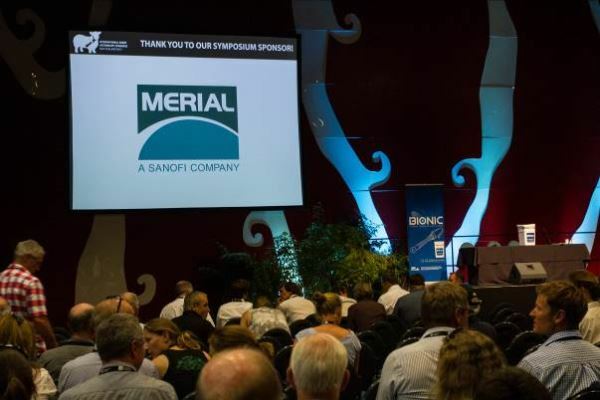 Merial Ancare came on board as the head or Platinum sponsor, Novartis as a Premium Gold sponsor and Pfizer (now Zoetis) and MSD Animal Health as Gold sponsors. In addition we had several other silver and bronze company sponsorships plus other exhibitors giving a total of 17 stands in the exhibition hall. 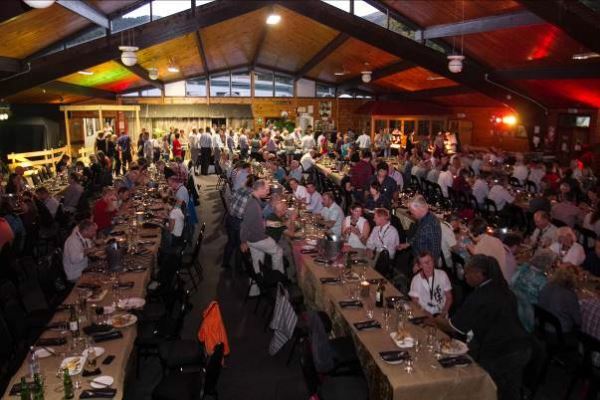 NZVA also sponsored the congress dinner and lanyards. Early on the Organising Committee at one of its meetings had a presentation from Sam Higgins, Marketing Manager of MSD on things from a sponsor's perspective - this helped us to keep a focus on their requirements. 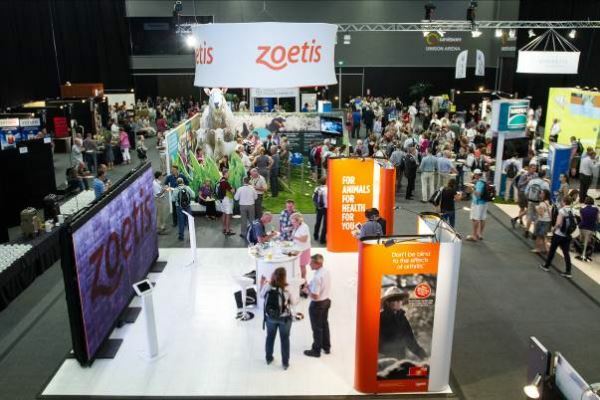 There were 2 corporate symposia incorporated into the programme put on by Novartis and Merial Ancare and 2 invitation only breakfast meetings hosted by MSD and Zoetis. It was always envisaged that there would be 2 pre-congress tours of a similar length – a South Island tour starting and ending in Christchurch and a North Island one starting in Auckland and ending up in Christchurch. As indicated earlier, when the congress had to be relocated to Rotorua the tours, particularly the North Island one had to be considerably reworked which was quite disappointing as a number of people had put a lot of time and thought into developing an itinerary. In any event both tours ended up with an identical number of delegates – 39 on each. A booklet was produced for both tours incorporating useful facts and figures and a detailed itinerary – this was the first time this had been done and was much appreciated by delegates. Both tours had been previously scoped and driven by the relevant tour guides Dave & Anne West for the North Island tour and John & Lois Smart for the South Island one. The reworked North Island tour started in Auckland and over the next 4 days had overnight stops in Hamilton, Taupo and Rotorua. Incorporated in the itinerary were 2 farm visits and a dinner cruise on Lake Taupo as well as other attractions such as a sheep shearing demonstration by world record shearers, a visit to one of the finest thermal areas in NZ and the Huka Falls on the Waikato River. Highlights included a unique experience exploring a limestone cave (while at the same time banishing any thoughts of earthquakes); a bungy jump by Trygve Stuen (son of Snorre), and catching half a dozen large trout on Lake Taupo during the dinner cruise. The South Island tour over 12 days went from Christchurch across to and down the West Coast then through the Haast Pass to Wanaka with a 2 night stop in Queenstown. From there the tour went across Lake Wakatipu on the TSS Earnslaw via Mt Nicholas to Te Anau followed by a side trip to Milford Sound before heading back across to the East Coast, then up as far as Oamaru before heading inland to the Mackenzie Country and then onto Christchurch via the inland scenic route. There were 7 farm visits incorporating a range of farm types including a dairy farm and a deer farm. Scenic highlights included the Pancake Rocks at Punakaiki; some did a helicopter flight over the West Coast glaciers, dinner in the Skyline Restaurant overlooking Queenstown & Lake Wakatipu, Milford Sound cruise, getting close to nature on the Otago Peninsula, the Night Sky Tour in Tekapo and the final night dinner. Many of the delegates were quite impressed when they got a personal address and welcome to NZ on the coach by Deputy Prime Minister and Minister of Finance Bill English; by chance as the tour stopped at Peggydale a tourist shop near Balclutha, Bill who is the local MP was at a breakfast meeting there so I asked if he would do the honours. The lowlights were getting a speeding ticket in the middle of nowhere (a collection was taken up for the driver) and being temporarily stranded at Walter Peak when the tour coach got stuck in a ford on the Von River on the way in to pick the group up. Nothing that a bit of panel beating at the end of the tour couldn't fix! One of the more inspired decisions, as it turned out, was to have a "professional" MC for the entire congress. We settled on Greg Ellis from Wellington who as his alter ego Bruce Crutchley, a farmer from Fairlie, kept delegates entertained and amused and, after the first session when stragglers were "pointed out" very much on time, as well as proving a more than adequate singer at the gala dinner. The social programme kicked off on the Monday evening with the welcome function at the congress venue. This commenced with a Powhiri (an official Maori welcome) followed by the arrival on a quad bike of our MC – "farmer" Bruce Crutchley who introduced myself and Gareth Bath as congress convenor and ISVA president respectively. This was followed by a potted video history of previous ISVC's put together by Ken Pettey of South Africa. On the Tuesday evening an informal barbeque dinner was held at the Skyline Gondola overlooking Rotorua and the lake. 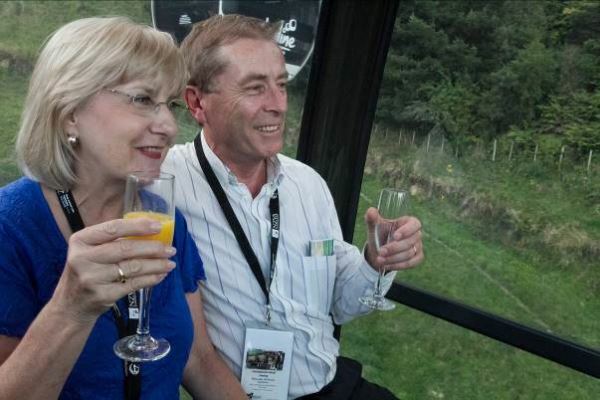 Delegates were given a glass of champagne at the base station to drink on the way up the gondola. The barbeque was preceded by luging for those who wished to indulge – most did. 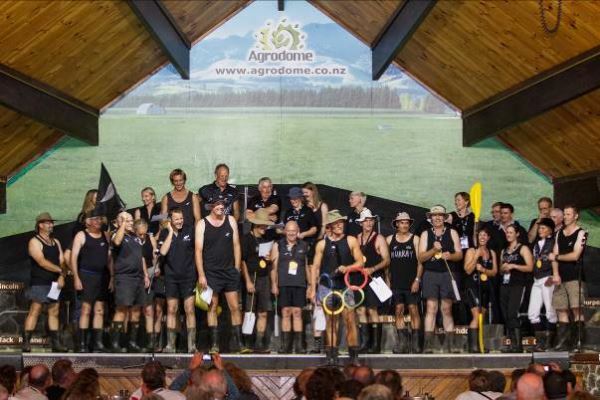 The next evening, the International Cultural Evening where, as has become the tradition, the various countries put on an item was held at the Agrodome Complex just out of Rotorua. Delegates were rounded up by some noisy huntaway dogs and were also treated to an abbreviated version of the renowned Agrodome sheep show & shearing demonstration. The following evening was a free one to enable delegates to "recover" before the gala dinner on the Friday Night at the Blue Bath's complex. This started with drinks out on the lawn before four tenors and two divas started singing from the upstairs balcony of the Blue Bathes building. They provided further entertainment during and after dinner and around the various formalities (awards and presentations) that occurred through the course of the evening. 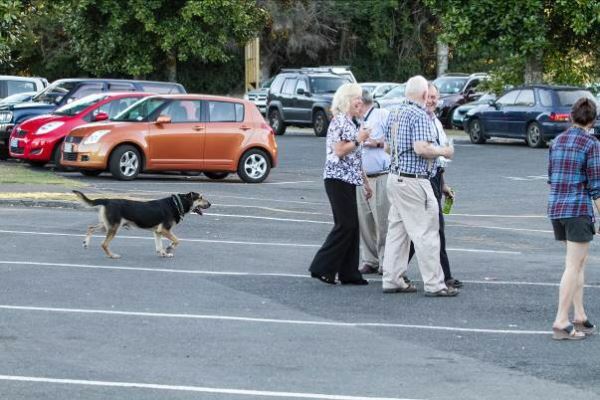 The accompanying persons programme incorporated a variety of commercially available trips around the Rotorua area all starting off with a tea or coffee at the congress venue. In summary the 8th ISVC turned out to be very successful for all concerned and judging by feedback received since hugely enjoyed, which by fostering camaraderie amongst the world sheep vet "family" should bode well for the future. Considerable effort was put in to raising awareness of the congress in countries that traditionally had been less involved in previous congresses, particularly South America and this paid off with 13 delegates from 4 South American countries participating. In the end 481 delegates from around 31 countries attended which was above our most optimistic predictions and this combined with good sponsorship support meant the congress made a reasonable return enabling, for the first time, a levy to be paid to the ISVA to give it some funds to work with. The organisational team on the ground at the congress led by Leanne Fecser ensured that the whole congress went virtually without a hitch. At the gala dinner the venue for the next ISVC was announced – the bid between Canada and the UK was won by the UK so the 9th ISVC is to be held in Harrogate in Yorkshire in May 2017. MC "Farmer" Bruce Crutchley & a "dead ewe"
First session late-comers – The MC made sure no one was late again! A bit of Kiwi "culture"